There is something about being still and in prayer. 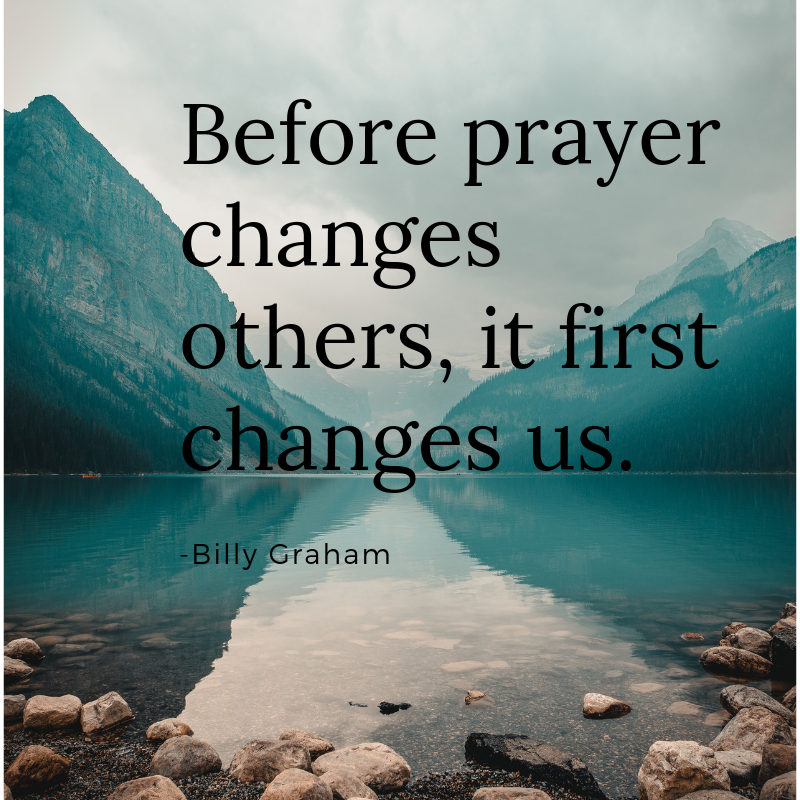 Prayer can be a healing of the heart, a time to pause to think of others, to ask for forgiveness and help to forgive others and to be grateful for what we have. Today, we are joining our fellow Thrifty Style Team bloggers to share a bargain find and what we did with it. This little project goes way back for me. It was the first time I was “published” in a magazine; way back in the ’90s. I submitted my idea for a basket of prayers and they printed it. 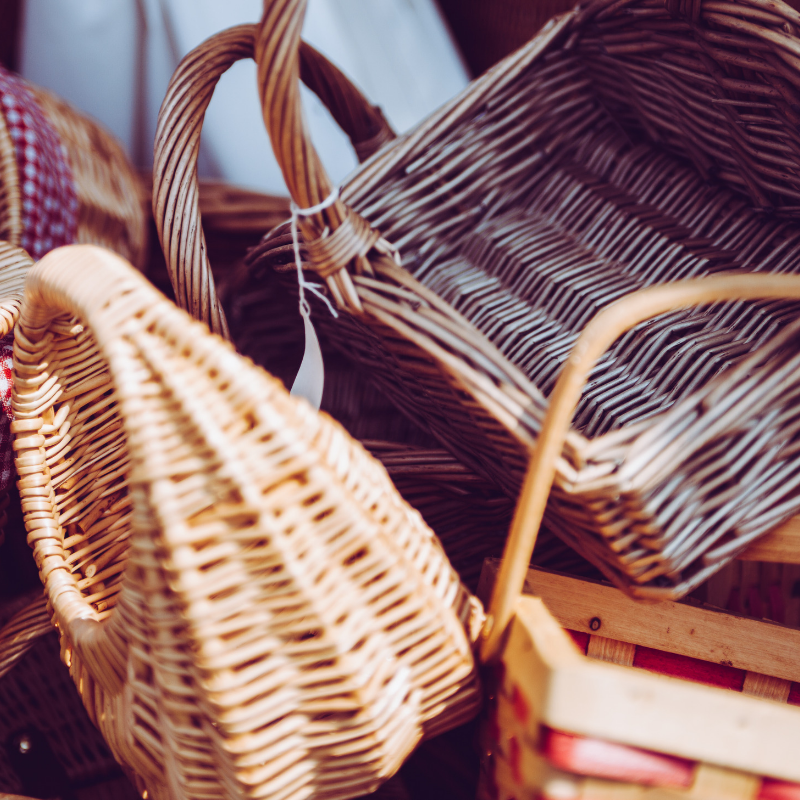 Since baskets are super easy to find at thrift stores or yard sales, it is easy to find one that is just right for your area. 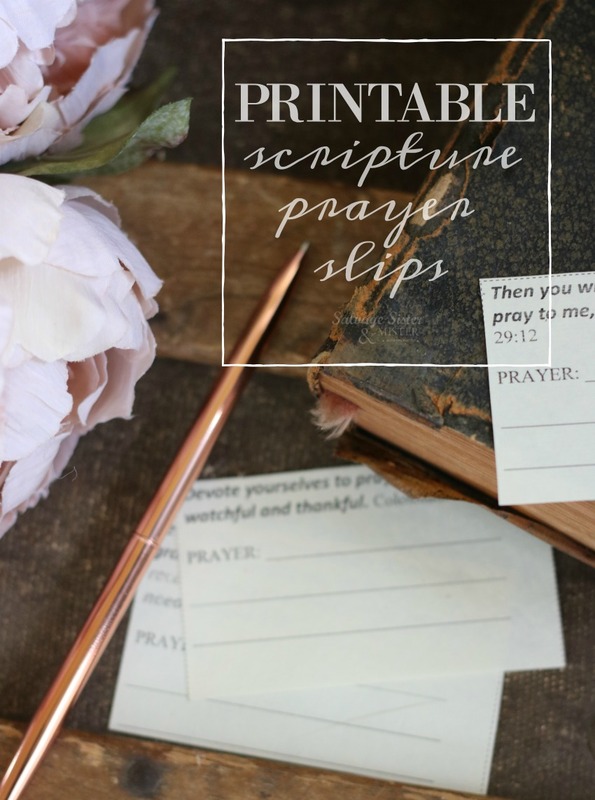 You can use scrap pieces of paper, index cards, or if you sign up for our newsletter, we have a free printable for you to use: Prayer Slips and Basket Tag. 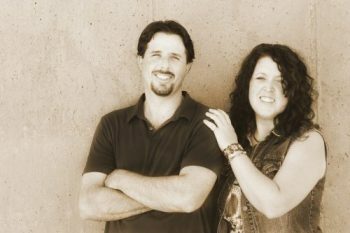 PETITION – “Now this is the confidence that we have in Him, that if we ask anything according to His will, He hears us. And if we know that He hears us, whatever we ask, we know that we have the petitions that we have asked of Him.” –1 John 5:14-15, NKJV Asking for help and guidance. INTERCESSION – “But I say to you, love your enemies and pray for those who persecute you. Matthew 5:44 and “Ask God to help them, intercede on their behalf, and give thanks for them.” 1 Timothy 2:1 Praying for others. PRAISE – “I will bless the Lord at all times; His praise shall continually be in my mouth. My soul will make its boast in the Lord; the humble will hear it and rejoice. O magnify the Lord with me, and let us exalt His name together. Psalm 34:1-3 Acknowledge God for what He is. CONFESSION – “If we confess our sins, He is faithful and just and will forgive our sins and purify us from all unrighteousness.” 1 John 1:9 and “Forgive us our debts, as we also forgive our debtors.” Matthew 6:12 Forgiveness of ourselves and others. You can place the paper by the basket and everyone can use as they like. 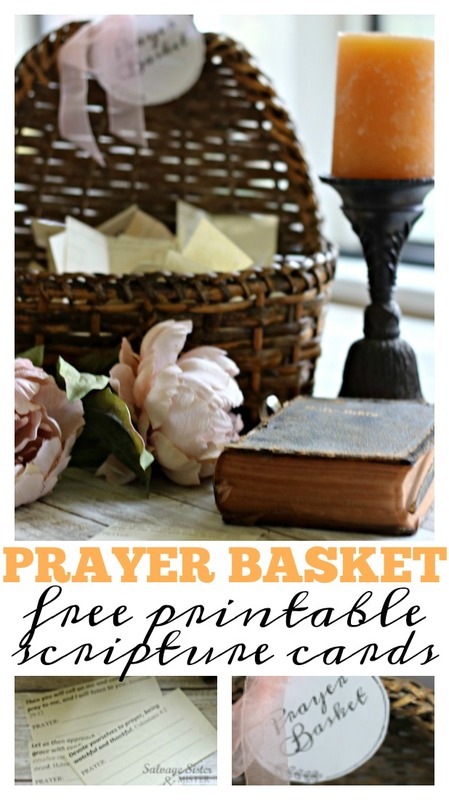 When they want to take a moment of prayer they can fill out a piece and add it to the basket. When you want to have a deep time of prayer, grab the basket and pray through the different slips. 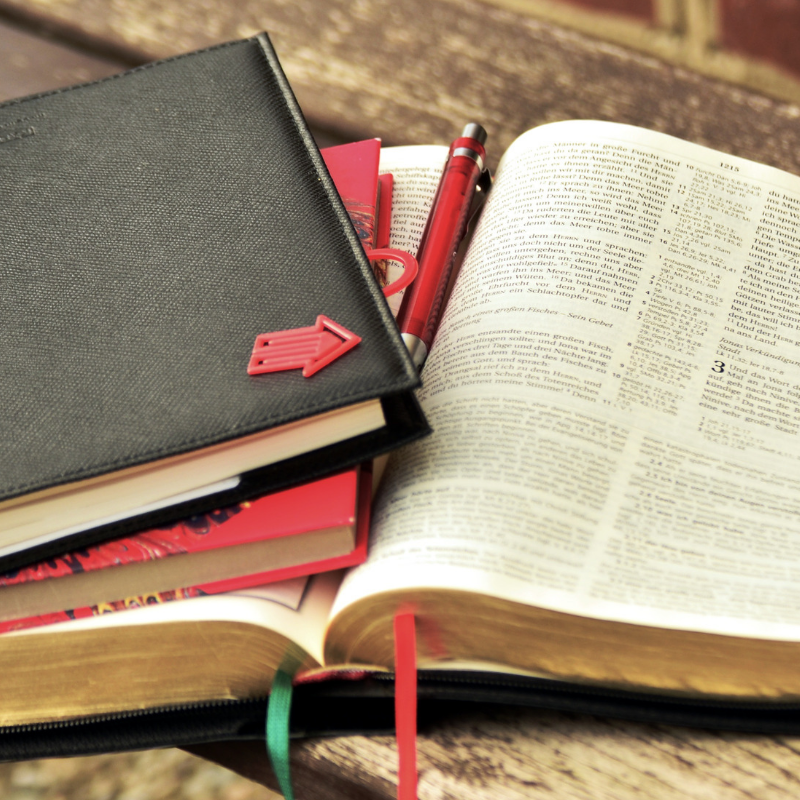 You can take notes on what is happening in each of these circumstances as you go back through them, a journal would be great for this purpose (like this turquoise one). Use as you like, but it can really be nice to do on your own or for family members to pray for each other as well as others. 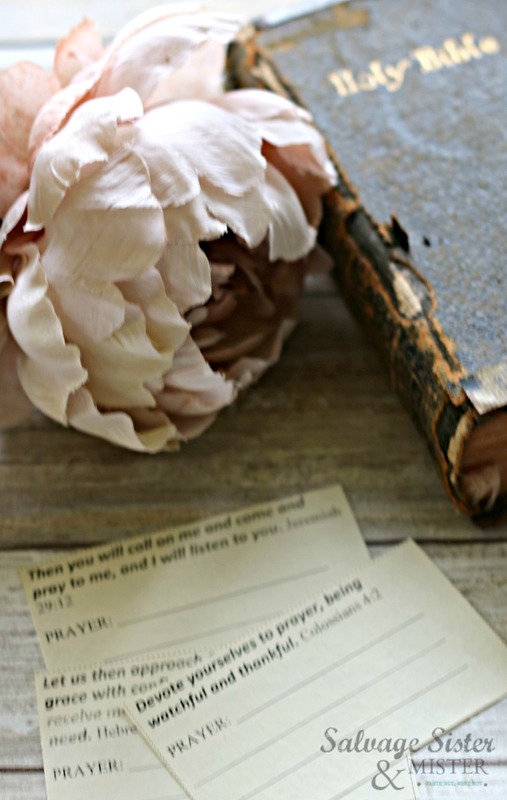 If you sign up for our newsletter, be sure to print the tags and prayer cards. The basket tags were created in four different sizes so it should fit whatever basket size you have. BTW- I used old typewriter paper, also found at the thrift store, to print the prayer slips on and tied the label on with leftover ribbon; waste not, want not! 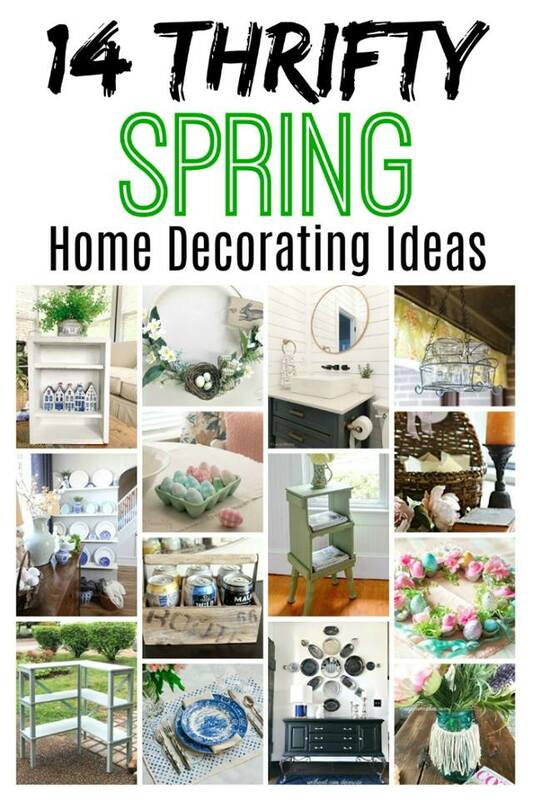 What a lovely idea and perfect with Easter just around the corner. Of course, it would be wonderful to have all year long. Thanks for the inspiration and reminder to add more prayer in my life. THank you Patti! Yes, all year is perfect. I absolutely love this idea. I have done similar things when my kids were younger, but why not now when really we could all use those extra prayers. Pinned to my Easter board but I think this is for any time. Thank you! Exactly….anytime is a great time! This is such a smart and meaningful idea. A great way to be mindful, giving and kind. Thanks for sharing your creative idea. This is such an awesome idea! I have prayer journals and random papers that I keep prayer requests on but I so love this. I am going to try to make something similar and keep it in my dining room. What a wonderful reminder of the importance of thanksgiving and prayer. You made me smile so huge with this!!!! God is so good and thank you for sharing your creativity and inspiration. Thank you Mary Beth…I like your idea too. I’m glad it made you smile. 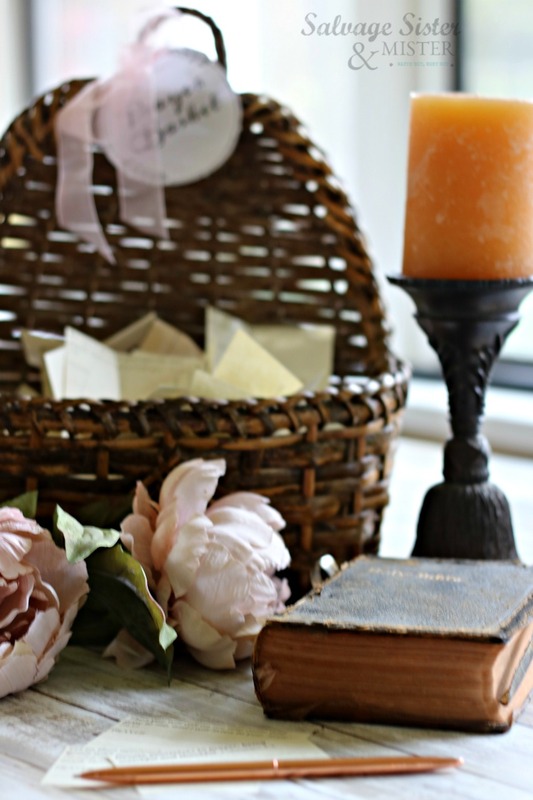 This is such a nice idea and you made it look beautiful in a basket! What a beautiful idea! I like that it is something that can sit on a shelf and be a reminder! It’s so easy to let things go rather than taking them to God in prayer! Thank you so much for this beautiful idea and printables. It helps so much to apply the scriptures in every aspect of our lives doesn’t it? Thank you for sharing your heart. You’re welcome Meegan. It totally does help! we do something similar at certain times of the year but not sure why we don’t do this all year. i love your printables and this idea. That’s awesome Laura…I think it’s just what different people prefer. 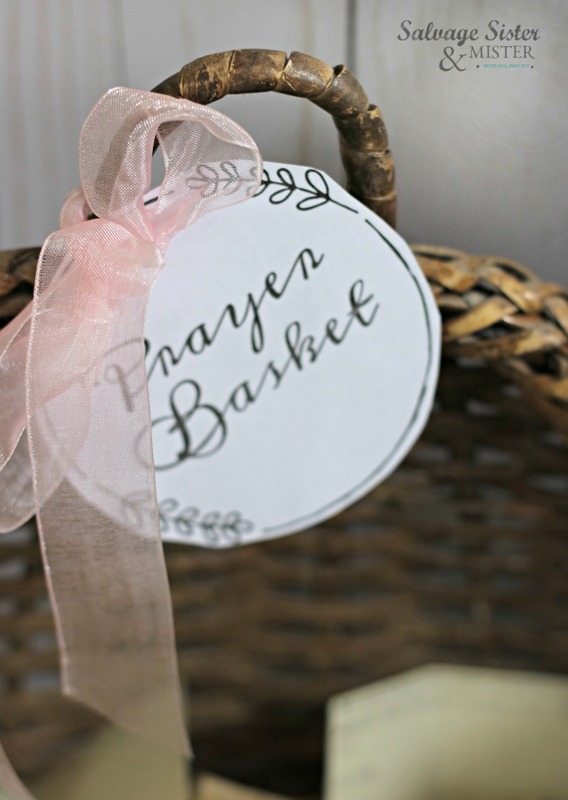 I love the idea of having a special basket to keep prayer requests in and especially a way to follow up with the progress/results of the prayers. How neat that your idea was published in a magazine years ago. I just started hearing about prayer baskets last year!